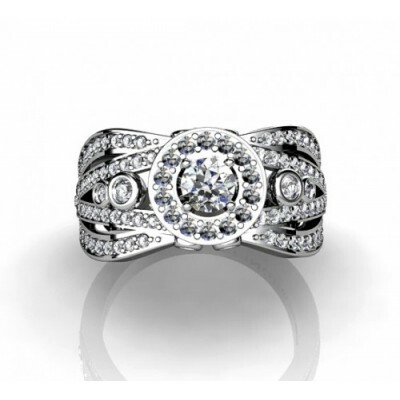 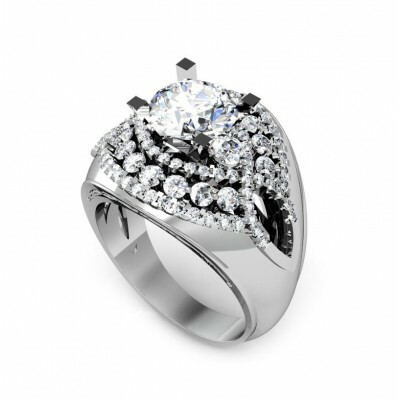 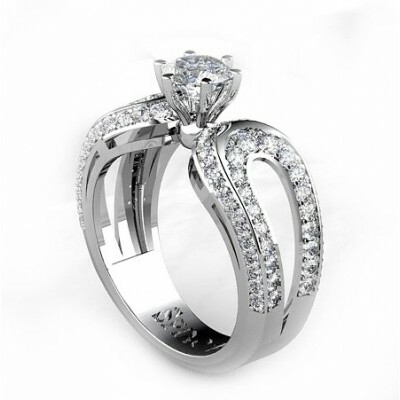 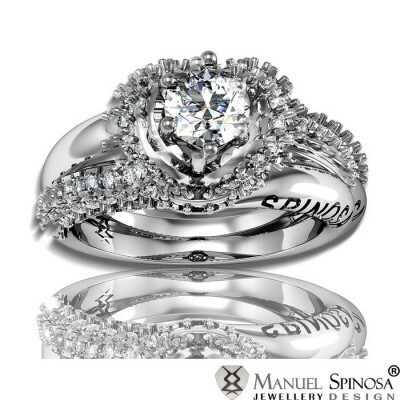 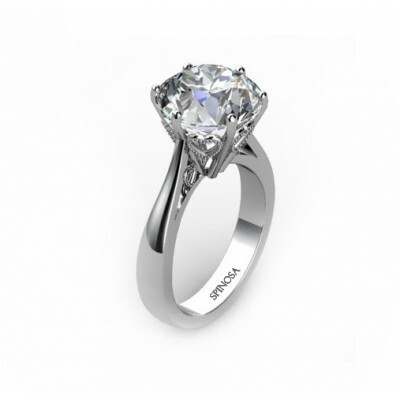 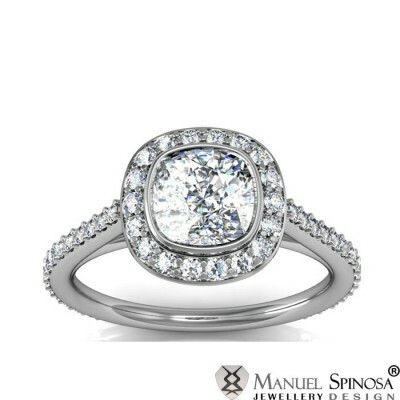 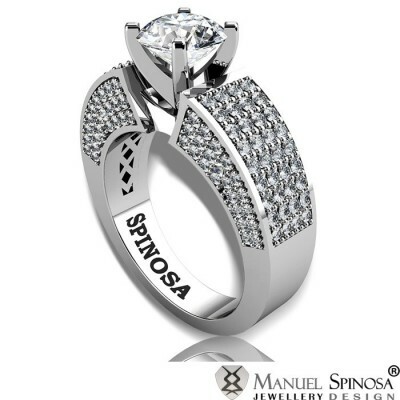 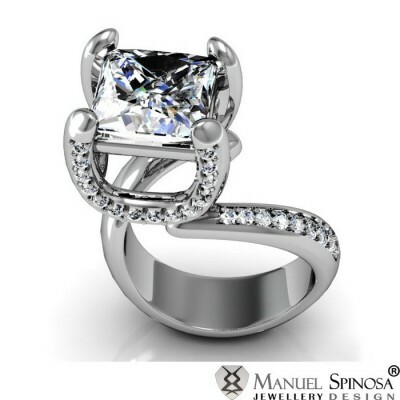 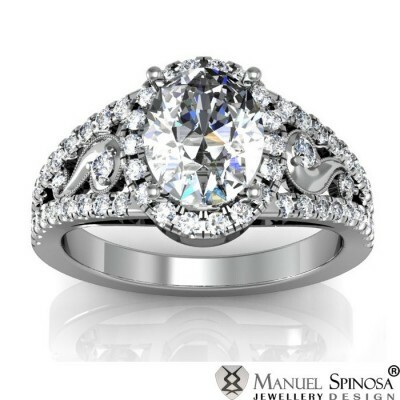 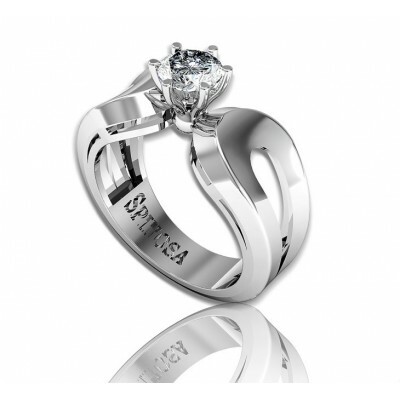 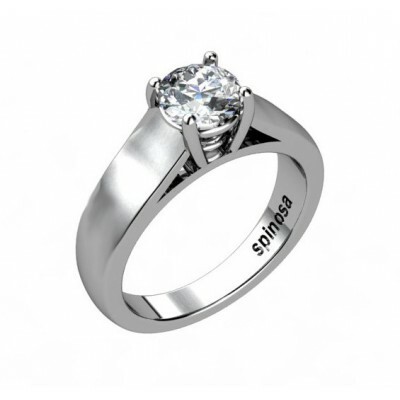 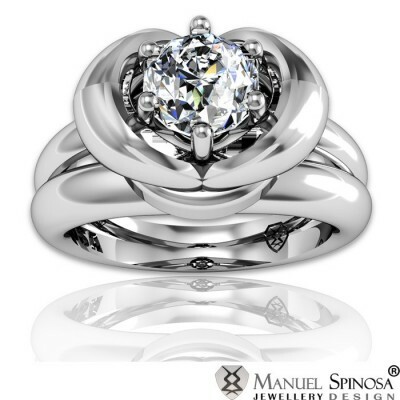 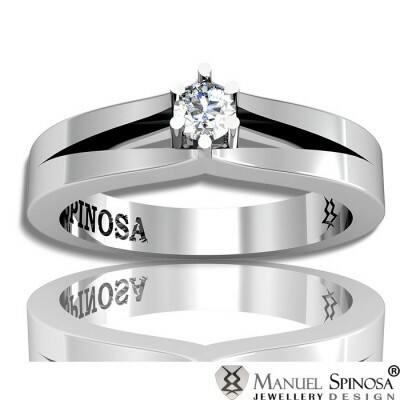 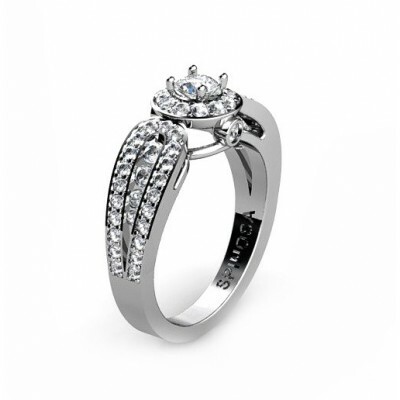 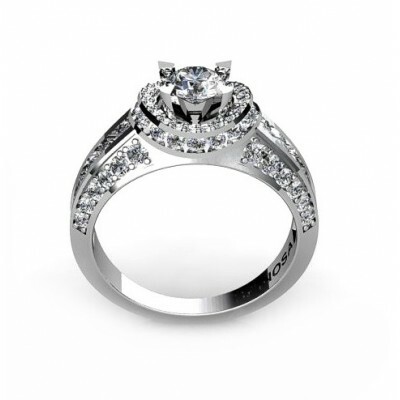 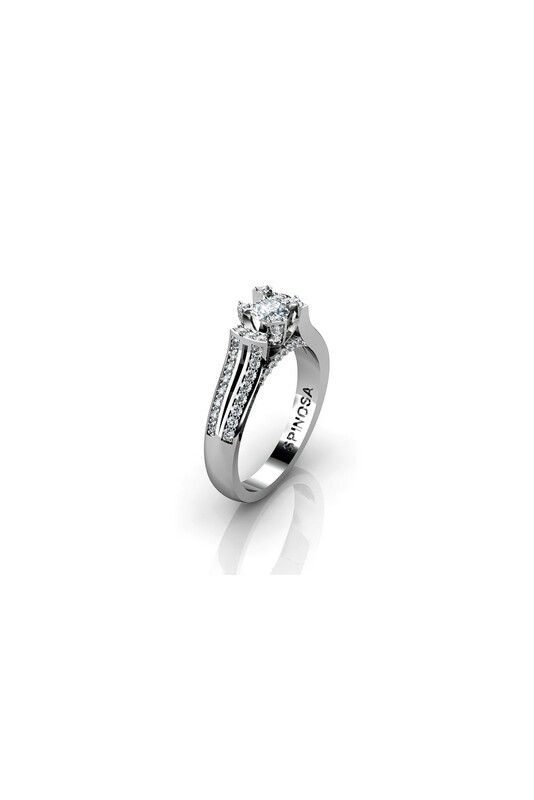 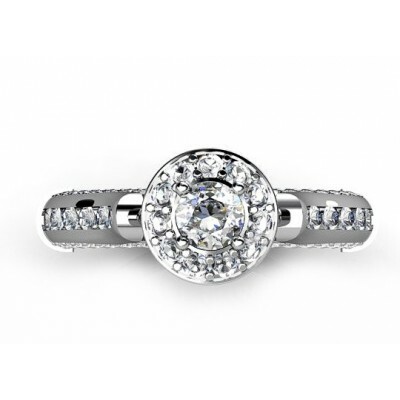 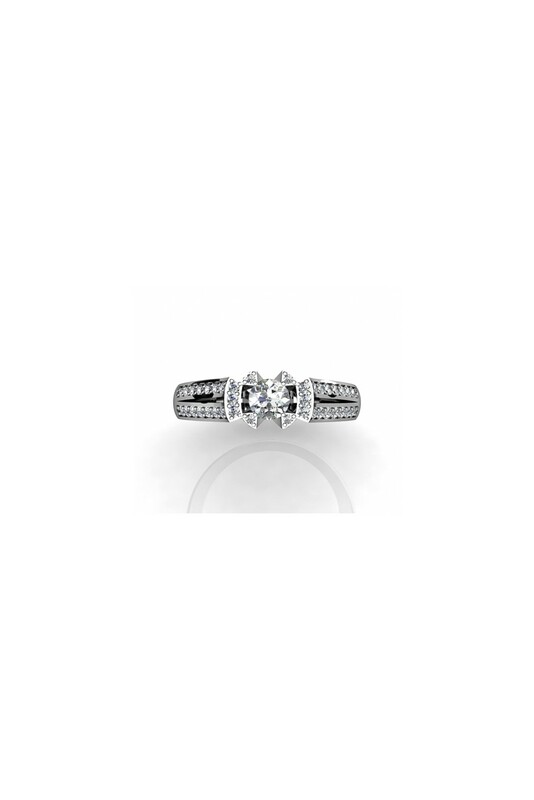 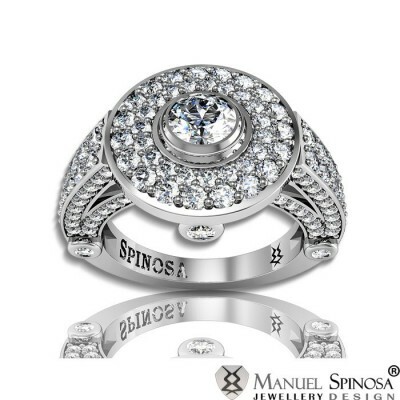 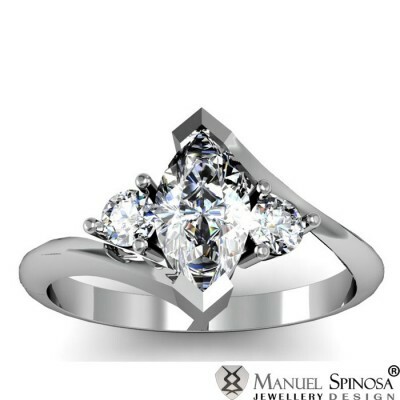 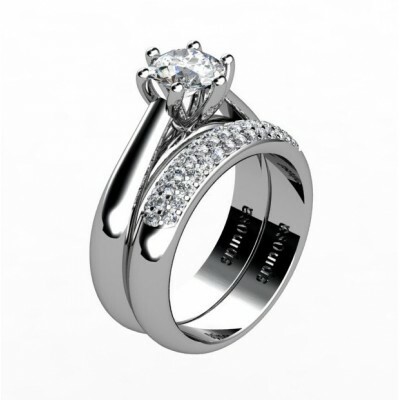 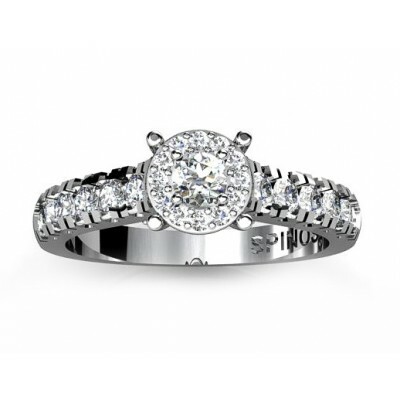 A stylish ring made of 18K white gold. 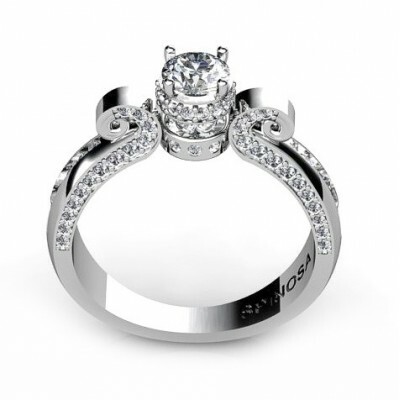 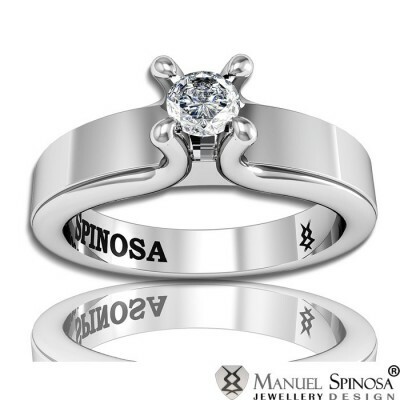 Its design offers emphasis on the central diamond that is secured by 4 claws and surrounded by beautiful brilliants, measuring 1.20 mm each. 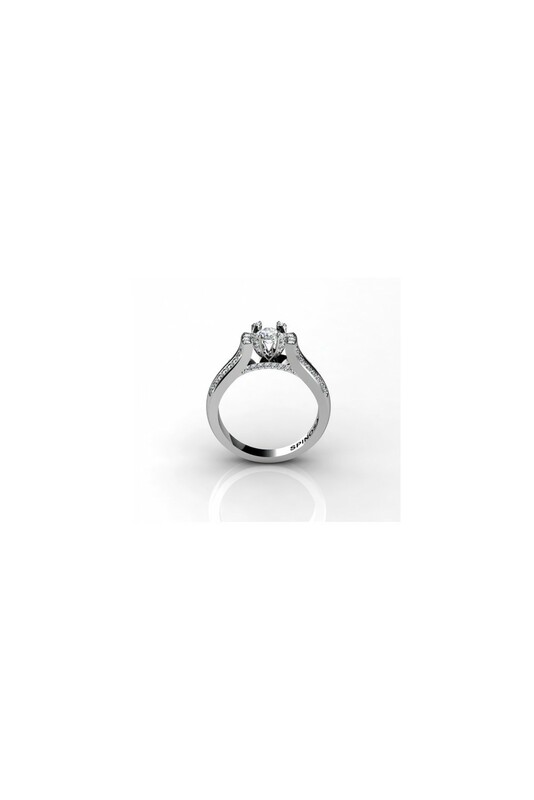 There are two rows separated from each other, which the edges are also filled with brilliants. 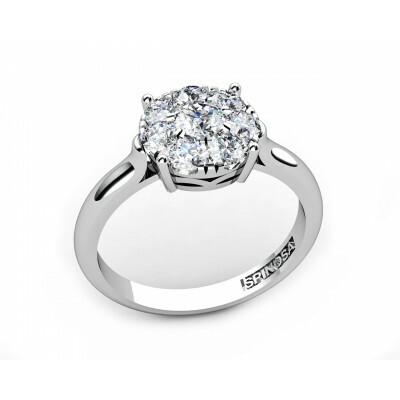 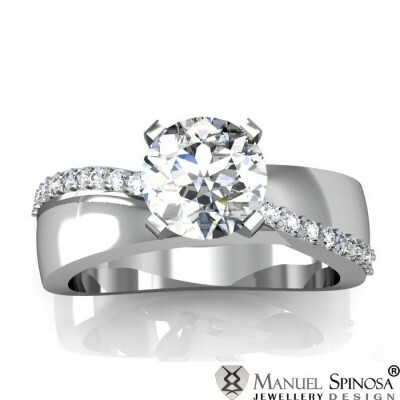 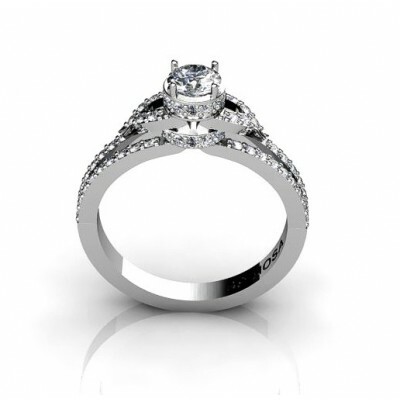 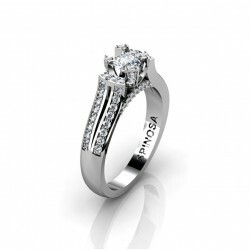 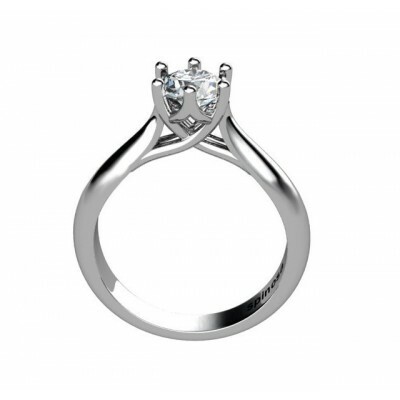 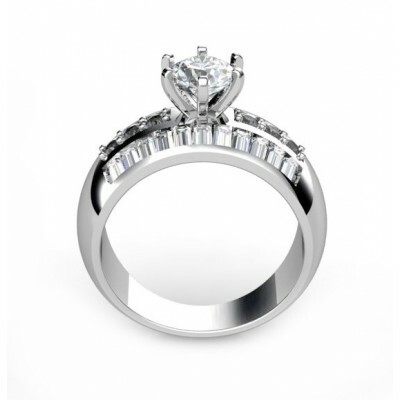 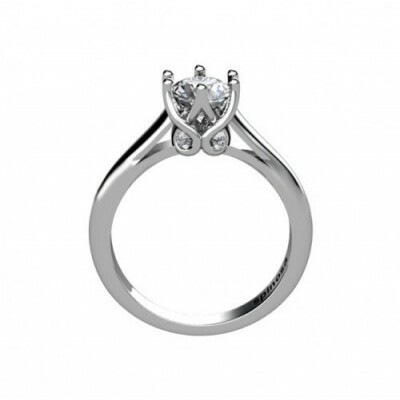 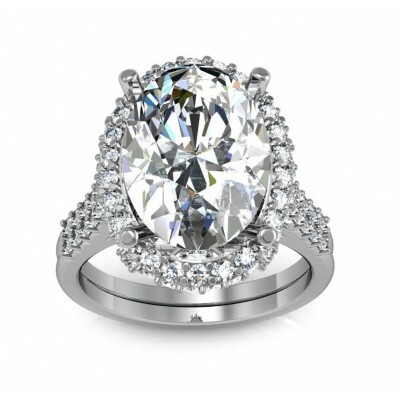 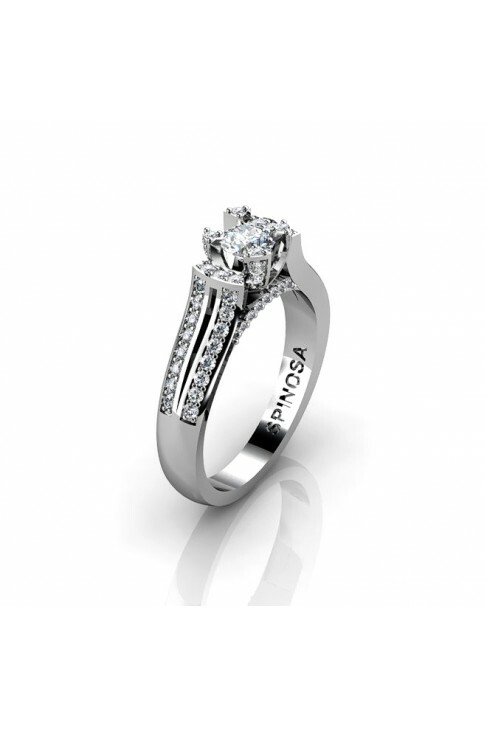 It has a total of 0.52ct, quality H-VS. 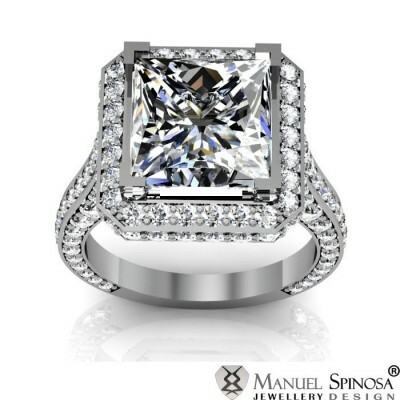 This is perfect for any wedding proposal!